A delicious, low-fat, smooth peanut butter. Its creamy texture will delight any peanut butter fan! 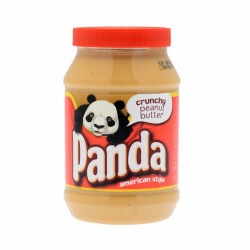 Spread on a toast or use as relish or sauce in your dish, Panda peanut butter may be enjoyed at any time of the day. 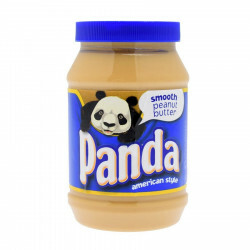 Peanut butter Panda is product very much enjoyed by the Irish. There are two varieties, one with a smooth, creamy texture and another crispy, crunchy one. Peanut butter with peanut chunks for an amazing crunchy feel! Ingredients: roasted peanuts (90%), fully hydrogenated palm oil, satt.